For the borderline, much of life is a relentless emotional roller coaster. For those living with and loving the borderline, the trip can seem hopeless and frustrating. Millions of borderlines are provoked to rage uncontrollably against the people they love most. Mood changes come swiftly and explosively, carrying the borderline from the heights of joy to the depths of depression. Filled with anger one hour, calm the next, s/he often has little inkling why s/he was driven to such wrath. Borderlines suffer a kind of emotional hemophilia; they lack the clotting mechanism needed to moderate spurts of feeling. Stimulate a passion and the borderline emotionally bleeds to death. Sustained periods of contentment are foreign to the borderline. Chronic emptiness eats at him/her until s/he is forced to do anything in order to escape. In the grip of these lows, the borderline is prone to a myriad of impulsive, self-destructive acts. Romances are usually filled with turbulence and rage, wonder and excitement. The borderline caroms back and forth from clinging dependency to angry manipulation, from outpourings of gratitude to irrational hate. She fears abandonment so she clings. He fears engulfment, so he pushes away. S/he craves intimacy and is terrified of it at the same time. The borderline winds up repelling those with whom s/he most wants to connect. Though borderlines have extreme difficulty managing their personal lives, many are able to function productively in a work situation. They are often very intelligent, and they can be creative and successful. But in their personal lives, borderlines tend to have intense moodiness, irritability, anxiety, rage, despair, and intense, uncontrolled anger. They often feel shamed, have difficulty being alone, tend to have poor boundaries and have trouble respecting and honoring other people’s boundaries. They tend to be controlling or manipulative and extremely self-centered. They frequently feel worthless, empty and unlovable, and are hypersensitive to criticism or rejection. Spouses or lovers are often unable to reason calmly with a borderline. If you are emotionally involved with a borderline, you must decide to take control of your life. 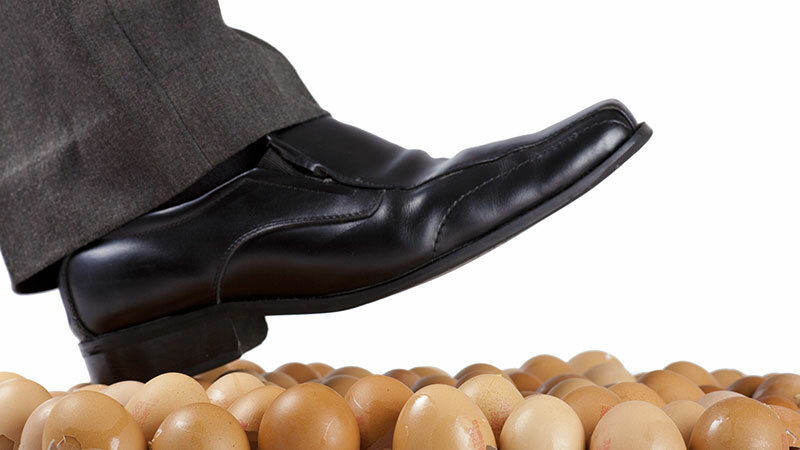 Instead of walking on eggshells trying to please the borderline, you must learn to walk on firm ground and try to please yourself. Your limits need to flow from your conviction that you deserve to be treated with respect. Maintaining closeness with a borderline requires a willingness to endure a long walk on a perilous tightrope in which you will need to truly learn where your needs, desires and limits lie, how to stand up for yourself, and set, enforce and hold appropriate boundaries. Source: The Stop Walking On Eggshells Workbook by Randi Kreger (New Harbinger) and I Hate You—Don’t Leave Me by Kreisman & Straus (Avon). Retired social worker, nephew looks for me to help his mother who plays the “I’m confused and can’t hear role. Because of him, I did take time to help her. Now I suspect she gains some benefit out of waisting a person’s time. If you say any words that imply you are in a hurry, then you see a victim or martyer mentality. I scored 44 out of 48 on the Walking on Eggshells Quiz. Had hoped part 2 would have provided more insight on how to deal with my spouse. I thought he was manic depressive/bipolar disorder. I am definitely uncertain as to how to deal with this disorder. Nothing I have tried seems to work. Terri I feel the same and any information you find would be greatly appreciated.